We had a busy morning today. 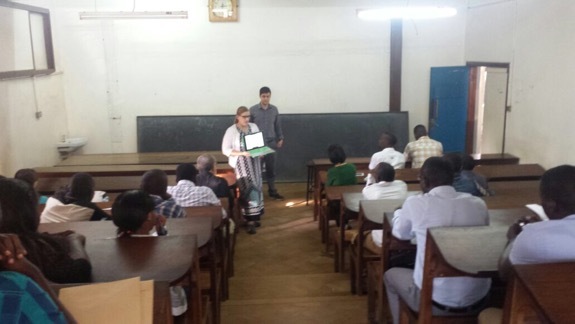 First, we walked over to Mulago hospital to make a presentation to the pharmacy interns. Our first goal was to teach the pharmacy interns about three free apps that they can download onto their phones and use for patient care. Some of the interns were ready and able to use the apps with us but we suspect others may have had difficulties due to a lack of a smart phone or internet access. Clinical pharmacy is in its infancy in Uganda and it possible some of these pharmacy interns really don’t think they need these types of tools since they will spend most of their time dispensing. Some pharmacists are definitely making strides but the profession has a long way to go. After that presentation, one of the pharmacy interns presented a case of a patient with kidney failure. After he presented, I spent some time facilitating discussion. 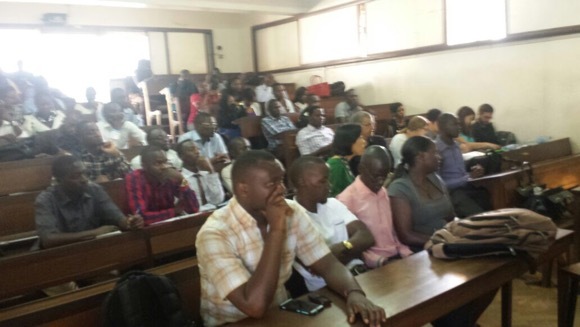 After that, we headed out to Kirrudu hospital to meet with Winnie and the Makerere pharmacy students. 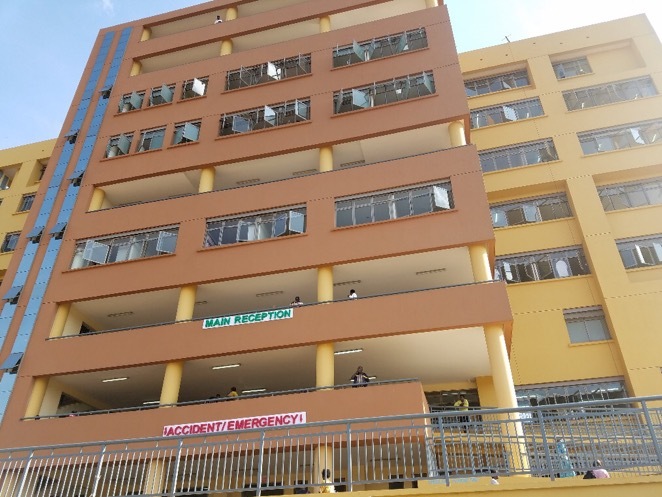 Since Mulago hospital is under renovation, many patients were sent out to this smaller hospital. Although only several miles from us, it took nearly an hour due to traffic (“the Jam”). The hospital is fairly new and from the outside, looks nothing like the other hospitals we’ve seen since it appears, well, Western. Unfortunately, inside the same challenges for Uganda health care persist. Each floor of the hospital is 2 or 3 huge wards in which patients are cramped very close to each other. We saw two patients in the ward who had very severe anemia but the blood supply is very low so they were basically left untreated. Still, the doctors and nurses (“sisters”) who work here are quite welcoming and I think are used to having outsiders in their wards. The students did well and will be presenting their cases on campus Friday. Our last dinner out in Kampala! We chose one of our favorites, Il Patio, an Italian restaurant. There are casinos in Uganda and Il Patio has one so we took a stroll through it. After playing some slots (they chipped in) a couple of the group tried their luck at blackjack and won! The minimum for blackjack is 5,000 Shillings (less than $2 USD) so it was fun. We didn’t stay long and headed back for some well-deserved sleep. This entry was posted in Diseases/Health and tagged Binghamton University, binghamton university school of pharmacy and pharmaceutical sciences, Global Health, Global Pharmacy Education, Global Pharmacy Practice, international pharmacy, Kampala, Makerere University Department of Pharmacy, Mulago National Referral Hospital, pharmaceutical care, Pharmacy Students, Public Health, Uganda, Ugandan Pharmacists, Ugandan Pharmacy Students, Wilkes University, Wilkes University School of Pharmacy. Bookmark the permalink. Aniother good day! Sorry no big winners!! Thank you for your important additions.